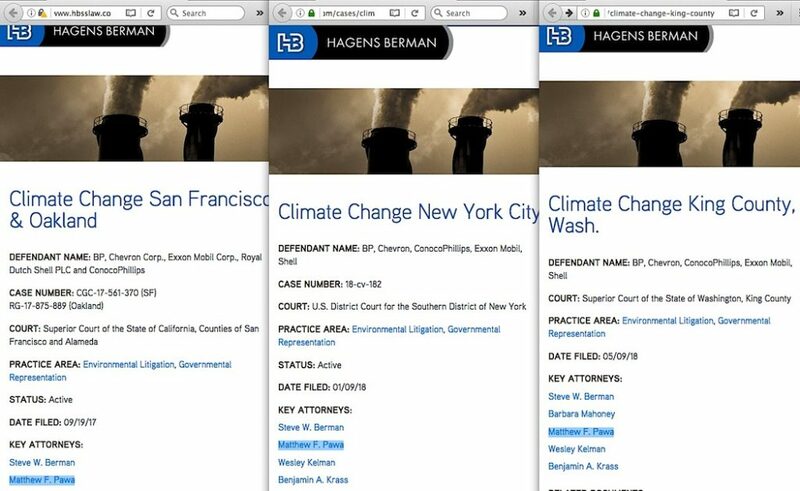 That’s Matt Pawa, who’s increasingly gaining fame as the leader of four current global warming lawsuits, and who was described in a December 2017 Huffington Post article as the main driver behind such legal action. 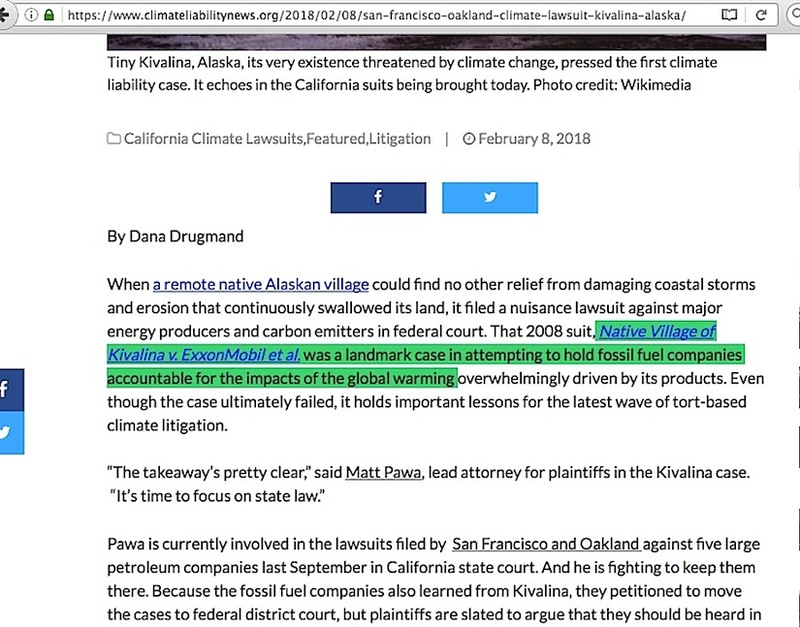 “Wierdness”, because there is much about Pawa’s manner of establishing how ‘fossil fuel companies conspired with skeptic climate scientists to hide the harm of man-caused global warming’ in his landmark 2008 Kivalina v. Exxon lawsuit which makes no sense. 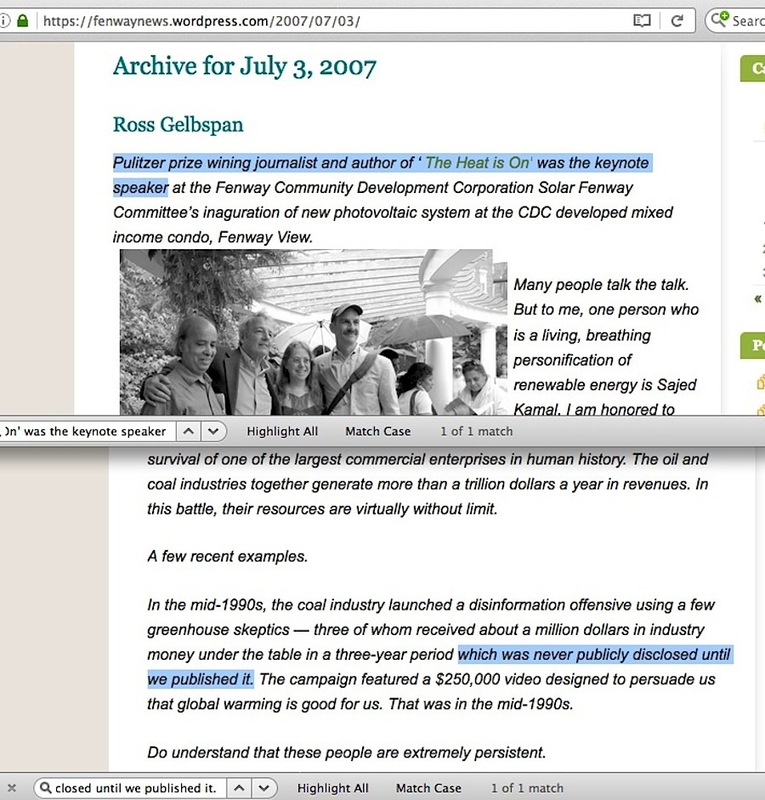 And “Gelbspan” is the person who’s self-described as the first one to reveal that conspiracy. 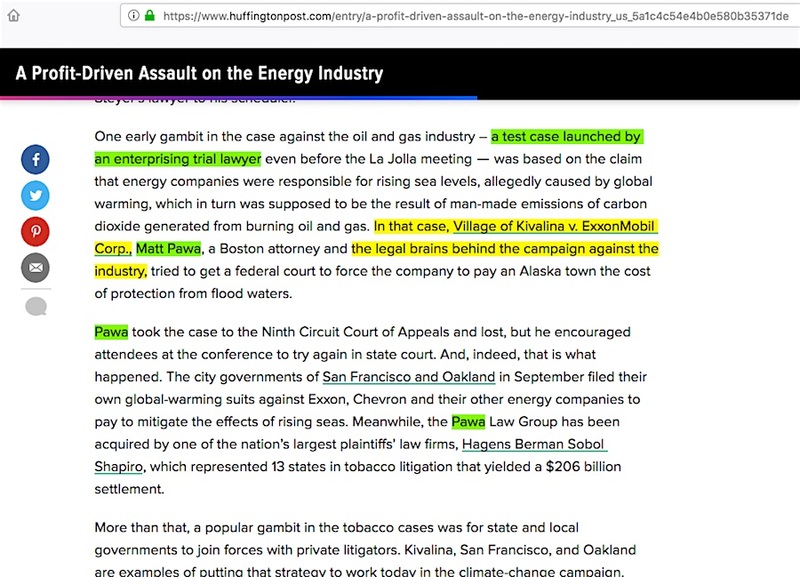 Here we go again, with yet another lawsuit attempt to say ‘the science of global warming is settled, the fossil fuel industry knew this all along but paid skeptic climate scientists to say otherwise, thus victims can sue that industry to recover the costs associated of dealing with this settled science.’ The otherwise uninformed general public expects – rightly so – such lawsuit accusations to stand on their merits beyond any shadow of a doubt. 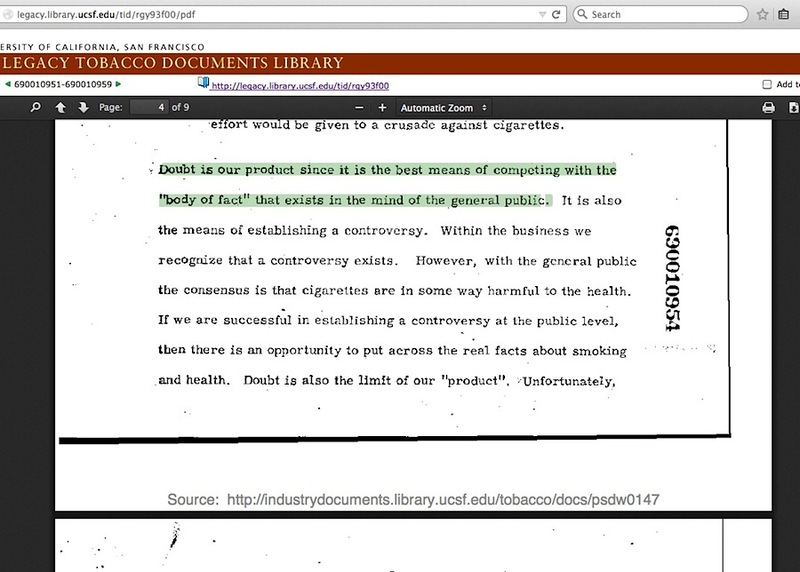 They’re supposed to be open-and-shut cases, welcoming independent corroboration and never having the remotest appearance of hoping nobody checks the veracity of the accusation evidence, or look like they’re using shell game tricks to obscure the origins of a highly questionable solitary evidence source, or give any impression, however slight, that the so-called evidence is actually part of an orchestrated long-term effort to advance a political agenda by marginalizing critics through baseless character assassination.